The Band, Doctor Jazz, was formed out of the original Terry Treagus Jazz Sounds. Terry’s Band originated in the 1950’s at the Medway College of Art and three members of that first Band, Terry Treagus, Keith Blundell and Bill Stotesbury, regrouped in 1972, joined by Alan Robinson, Colin Martin and Ralph Hayward. Weekly sessions started at The New Ash Tree, Gillingham. In November 1973 the residency at The Duke of Wellington, Ryarsh started and in 2008 the Band celebrated a 35 year run, broken only by a 3 months period when one of the ‘landlords’ locked himself in (and everyone else out) following a dispute over finances with the owners. In 1978 Terry Treagus stopped playing and left the Band which was then joined by Dave Kedge on trumpet, cornet and flugel horn. Dave had been with The Thameside Stompers since 1975 and had been the regular dep for Terry, he was the obvious replacement. 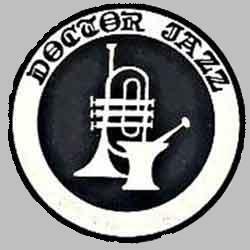 The band needed a new name and, following an ill-fated tour of Germany, where playing in a Dusseldorf Jazz Club called Doctor Jazz kept our finances and spirits going, there was the inspiration for the band name.